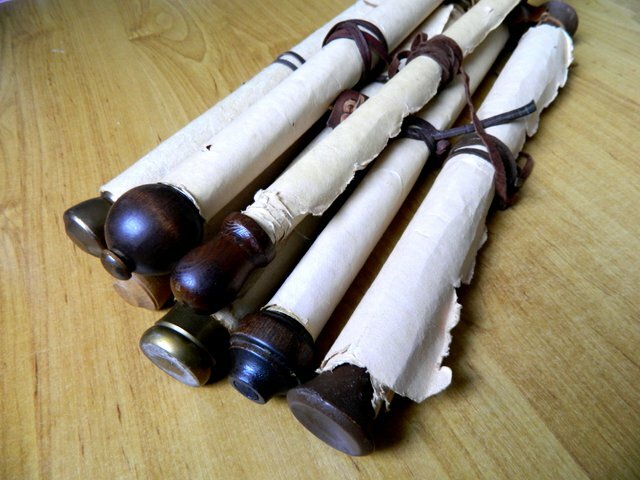 Ancient scrolls: where are the wooden handles? We all know what an ancient scroll should look like. Most of us haven’t actually seen a scroll from the first century AD, but we know what they look like in movies and stage productions. They should look something like a rolled up cylinder of paper with attractive wooden knobs poking out at either end. There, like that. These were the prop scrolls used in the movies “Alexander” and “Agora”. Nothing screams ancient and legitimate like wooden handle thingies. Nothing could be more genuinely scroll-like. It’s beautiful, it’s antiquated. You can just imagine Julius Caesar casually picking one of these up and reading it with a British accent. 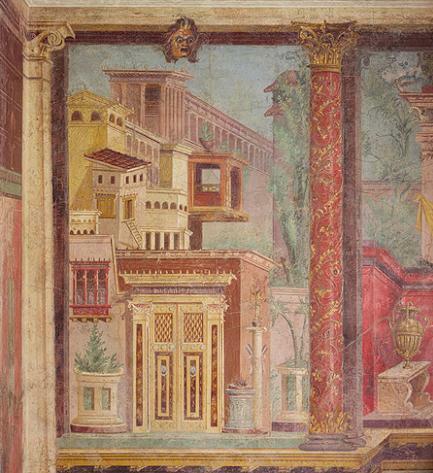 But I’ve recently been surprised by the lack of wooden knobs in artistic evidence from the Roman Empire. Where are all the handle thingies? Could we have been overestimating the prevalence of cool-looking-rolling-pin-shaped-sticks this whole time? Posted in Uncategorized and tagged ancient, fresco, Greek, handle, papyrus, Roman, scroll, sculpture, Torah. Bookmark the permalink.